Let people know when it's not safe to enter your yard! Forget about the dog - watch out for the owner! 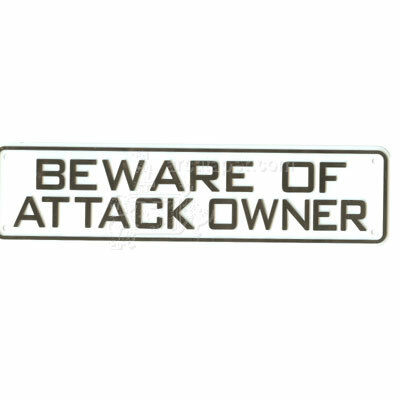 This whimsical 12 x 3-inch plastic sign clearly states "BEWARE OF ATTACK OWNER". Four holes on each corner of the sign allows for easy hanging. Sign is made of plastic and comes in white with black lettering.